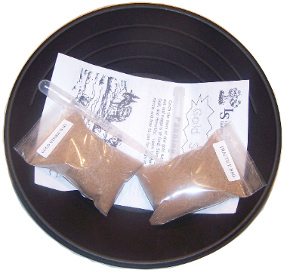 Years of working with Cub Scouts at day camps have shown that these are big favorites. Kids will call these items AWESOME! 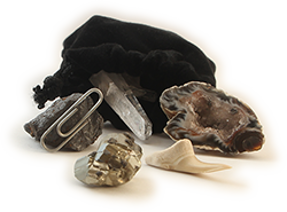 Includes: Fool's Gold Nugget, Shark Tooth, Quartz Crystal, Geode Half, Natural Rock Magnet (Lodestone). It also comes with a soft draw string bag to keep the items in. Note: Order 2 or more and receive a discounted price. Lodestones are naturally magnetic rocks. These specimens are about 2 inch size. 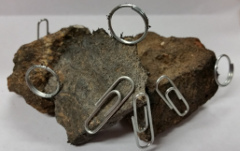 They will hold up paperclips and other small metal objects. Lodestones are cool because they are rocks that actually do something. Imagine a mouth fool of these beauties! These shark teeth are from Morroco. You get a large complete specimen over 1 inch long. A favorite with kids. 20 pieces of magnetic Lodestone. 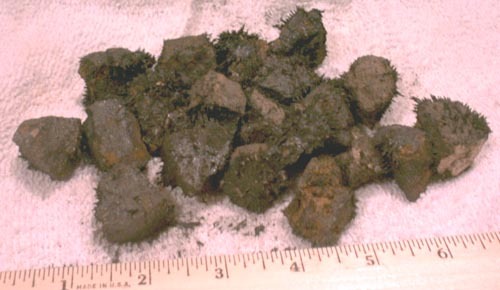 The pieces are approximately 1 inch in diameter. Perfect for groups of kids as gifts or hands-on study aids. 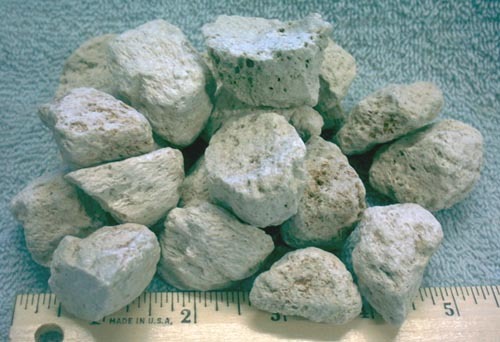 20 pieces of Volcanic Pumice Stone. The pieces average between 1 and 1 1/2 inches in diameter. Because of the way these stones formed they are full of holes and very light weight. 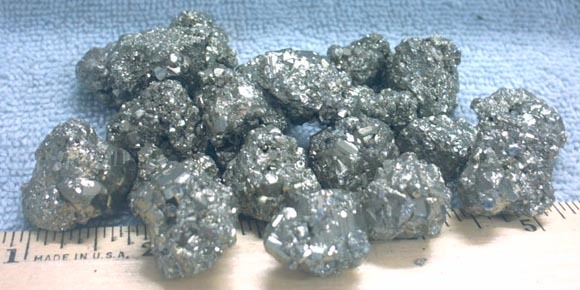 Compare them to pieces of Lodestone or Iron Pyrite and you will notice a big difference in weight. 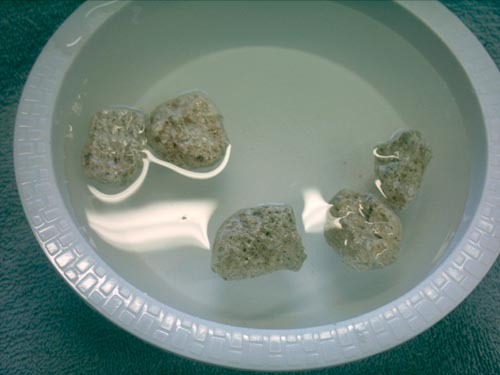 These pumice pieces are guaranteed to float on water. Kids love this amazing rock that floats. It comes from Utah. Perfect for groups of kids as gifts or hands-on study aids. Pieces are not necessarily the exact ones shown here but are of similar quality and size. Order online today. 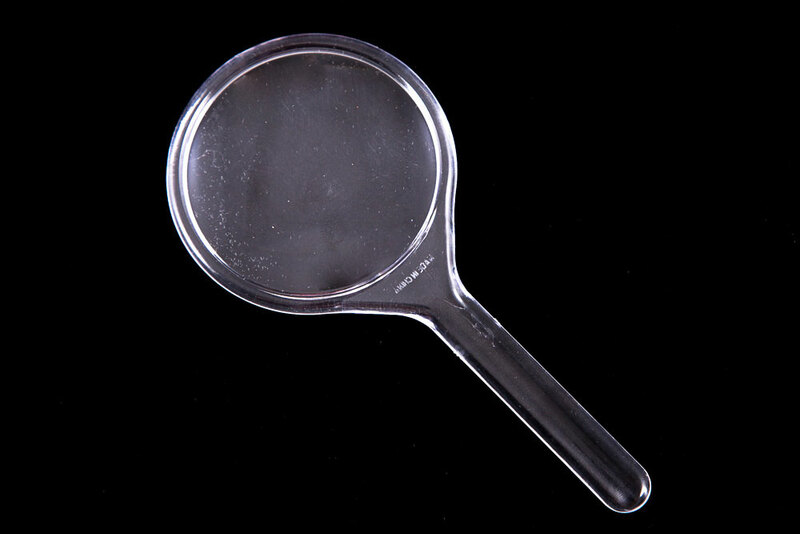 Study your specimens up close with a 4X magnyfing glass. Copyright 2014 Life Studies, LLC.